Oil refinery chemicals are used in crude oil refining processes as intermediates and primary feedstock for the production of finished products, such as petroleum, diesel, kerosene, aviation fuels, fuel oils, lubricating oils, etc. Second only to Saudi Arabia, Iran controls the second largest refining capacity in the Middle East region. Expanding refining capacity in Iran is boosting demand for oil refinery chemicals in the country. Moreover, removal of sanctions imposed by the United States and Western European countries is anticipated to bolster exports of processed petroleum products from the country, which is expected to positively influence Iran oil refinery chemicals market during 2016-2021. Furthermore, increase in the production of high octane number gasoline and diesel in order to meet the Euro-4 and Euro-5 regulations is expected to aid the oil refinery chemicals market in Iran over the next five years. The information contained in this report is based upon both primary and secondary sources. 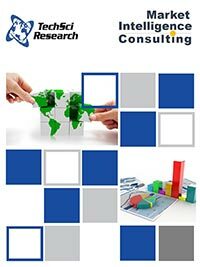 Primary research includes interviews with oil refinery chemicals manufacturers and industry experts. Secondary research includes an exhaustive search of relevant publications like company annual reports, financial reports and other proprietary databases.